This entry was posted in Poetry and tagged Dogs, Horses, photography, poetry. Bookmark the permalink. Not one flake of snow here yet this year. Crazy winter in these parts! 25 degrees this morning, but it is supposed to be 55 by afternoon. The last two weeks the grass became greenish, but that changed today, thanks for visiting! Just got back from my friend’s barn and you’ve never seen three happier dogs than those three rolling in the snow while we cleaned the stalls. Such faces! 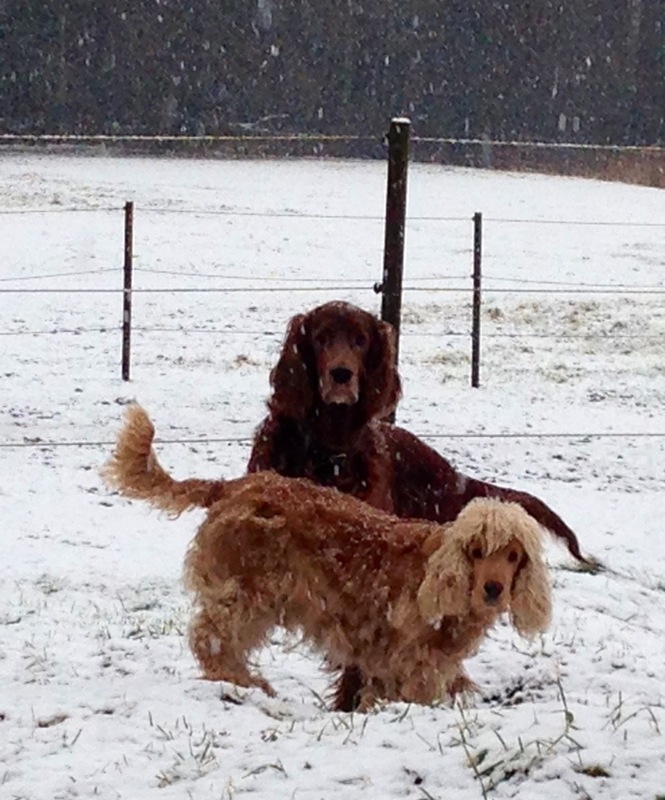 Lovely snow, dogs, and poem! Great picture and poem. Our dog also loves the snow lol. We have unseasonably warm temperatures here in BC but I did miss some snow adventures this year. 🙂 yes, dogs and childrens reaction to snow is exactly the same as I know it, but our horses where weary of snow a this point … wanted warm sunshine, and now it has come. We are always amazed at how the wild horses here survive in the subzero temperatures. We have noticed that they come to certain sunny places around noon to graze all afternoon in the sun…so probably they, too, are weary of winter.